My name is Jason White and I am a man with a van! I offer a friendly, local service based here in Abingdon, Oxfordshire. But, I am more than willing to travel the length and breadth of Great Britain. I have a Ford Transit, long wheel base, high top van. This can carry loads up to approx. 2.95m in length, 1.90m in height and 1.60m in width. This gives loads of space for various jobs i.e. multi drop deliveries/ collection of items from Furniture Stores/Garden Centres/Electrical stores etc. I can also carry out removals, such as from small flats/1 bed houses. For your peace of mind, I have insurance of £10,000 for goods in transit and £1 million public liability to cover your belongings whilst they are in my care. I come prepared with packing materials (bubble wrap, blankets etc.) and strapping to be able to properly pack and secure your belongings for the journey ahead. I also have an upper tier Waste Carriers licence meaning I am fully licensed by the Environment Agency to carry waste. Unfortunately, we cannot carry anyone not employed by Shifters of Oxford in our van. I get asked to do various jobs, but mainly collecting and delivering items that are too big to fit into a family car. Large white goods, such as fridge/freezers, washing machines, dishwashers or pieces of furniture, tables and chairs, beds and wardrobes. Garden furniture, kids outdoor play equipment and bikes. Living in the vicinity of Oxford’s Universities, I am able to help with student moves, collecting their belongings at the end of term and then returning them back to their student accommodation at the beginning of the new term. I can assist in the moving of an elderly relatives large and small belongings into sheltered accommodation. I can also carry palletised goods, with forklift assistance. If forklift not available, I am able to handball onto other pallets, provided by customer. There may be other jobs I have not mentioned above, please do not hesitate to contact me through the contact page. I may be able to help! 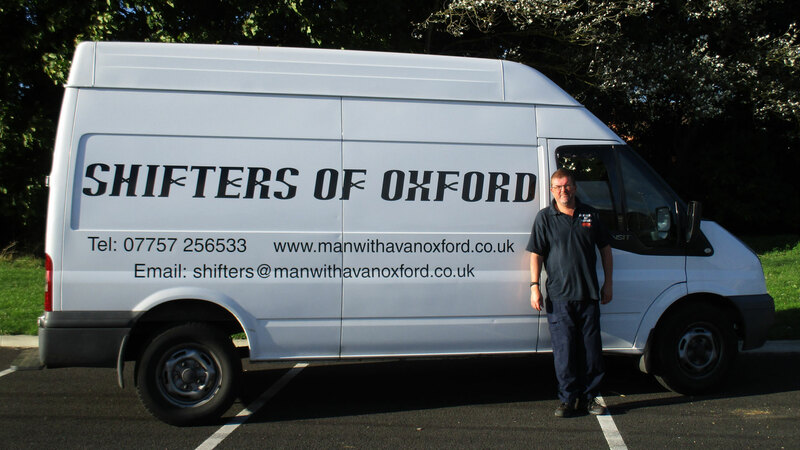 I have used Shifters of Oxford on several occasions to collect and deliver various items of furniture as part of my Antique Furniture Restoration business. Jason is always on time and always wraps and secures the items so they are safe in transit. We used Shifters of Oxford to dismantle and dispose of an old lean-to attached to the house. 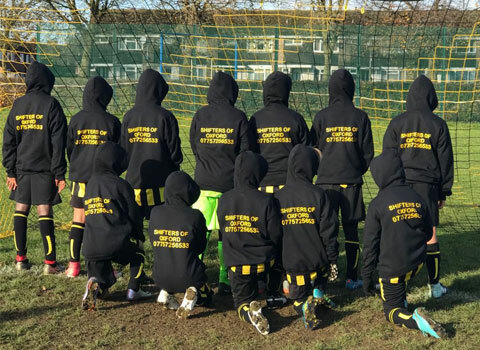 They arrived on time, did a great job and cleaned up after they’d finished. Very happy with the service – happy to recommend!